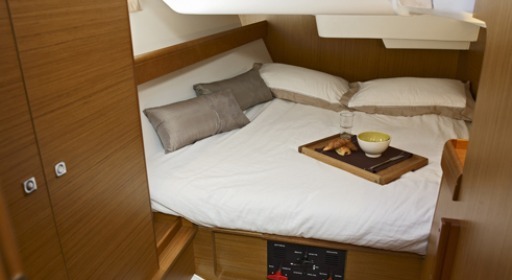 The solution to your sailing holiday for a charter with a right quality/price ratio. 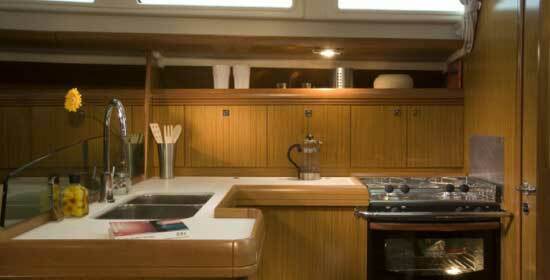 Take your time, go on holiday with the Sun Odyssey 42i. 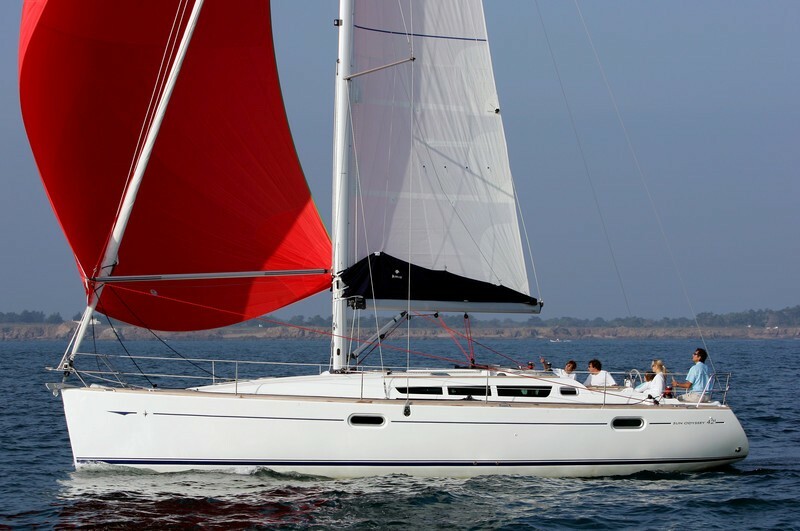 A charter sailboat the Sun Odyssey 42i, fast and easy to sail even with a small crew and in any weather condition. Its tall rig mast with the batten main sail and the deep keel (2,13 mt) provides a great stability and a proven ability upwind. 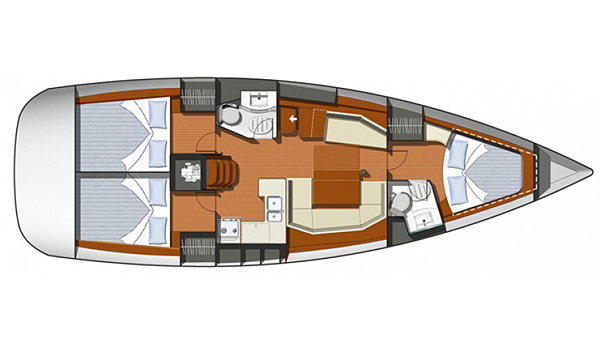 Beautiful lines, plenty of space, intense light, comfort and an all-round performance, the Sun Odyssey 42i combines the best of all these characteristics. 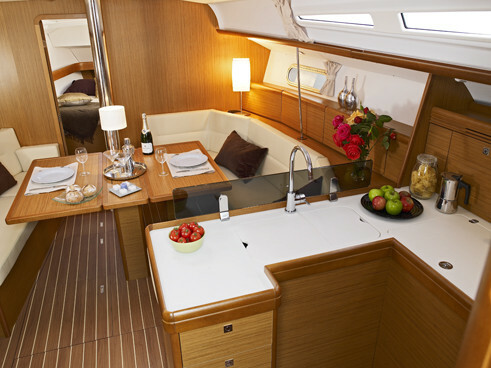 Its 3 double cabins with 2 bathrooms, can accommodate 8 persons. A gennaker is available on demand to give intense emotions even with light winds.